Bedside-Care Sensitive Skin Foam - No-Rinse, Foaming Body Wash, Shampoo & Incontinence Cleanser provides a complete bath in a bottle. 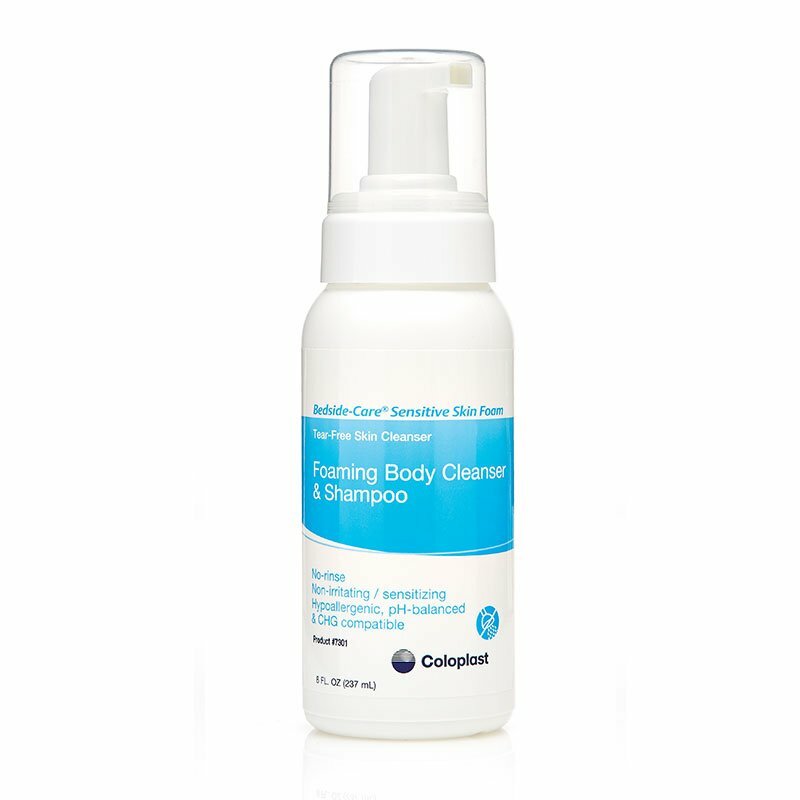 Coloplast no-rinse cleanser deodorizes sensitive skin without depleting it of essential moisture. It can also be used for incontinent cleanup. Easy to use and gentle on skin, this Coloplast body wash is the perfect all-in-one product for all your cleansing needs.